In tropical climate, eggplant thrives in the garden. One gardener said that eggplant should not be planted in the areas previously planted with tomatoes. 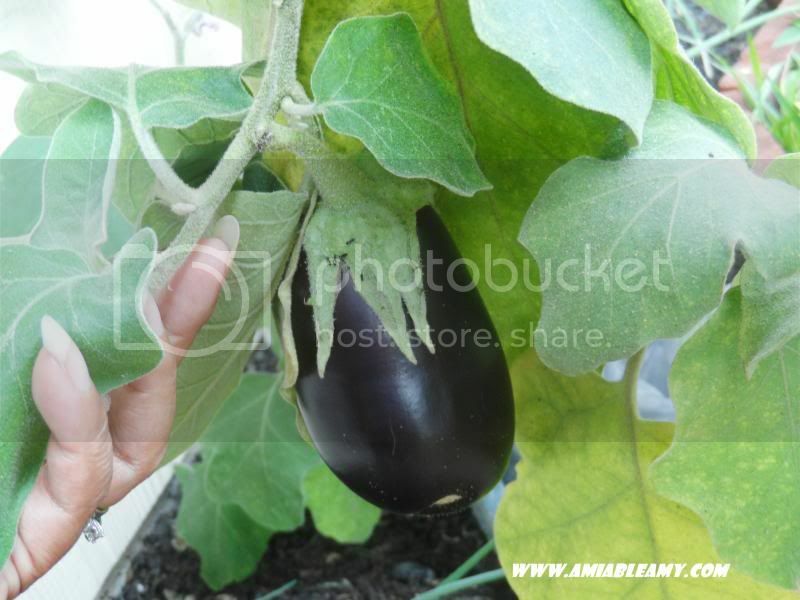 The pests and diseases from tomato plant may be harmful to eggplants but, look what I have, a healthy eggplant in my garden. The other day, there are flea beetles and other tiny insects already occupying the eggplant. I sprayed water and soap to take them away. So far, it works. Did you know that in North America, eggplant is called the nightshade? Eggplant is a flowering plant known as the aubergine in French and British English, brinjal eggplant, melongene, or guinea squash. A member of the Solanaceae family. The eggplant or aubergine is widely used in cooking and notably one of the ingredients in ratatouille. Eggplant is related to tomato and the potato. So far, there are two big eggplants in this plant. Looking forward for harvest time.